We created an aesthetic never seen before and perfected it with state-of-the-art technology: imposing, sporty and stylish design mirrors. 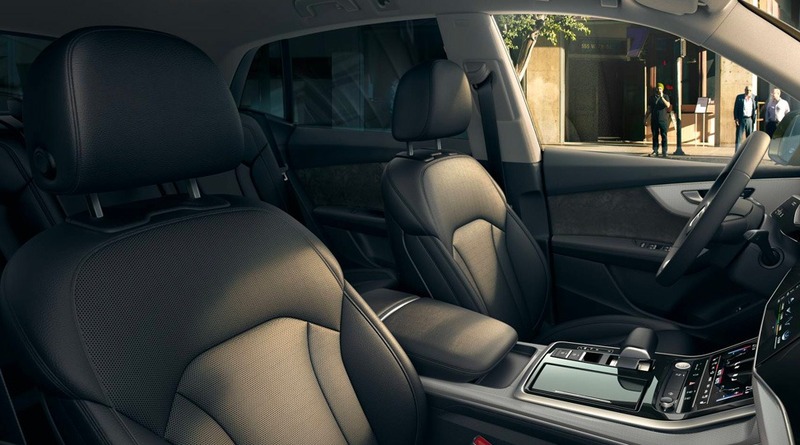 A luxurious, comfortable and highly equipped interior. A powerful engine. And the amazing, Quattro all-wheel drive system, which will allow you to travel in any conditions. 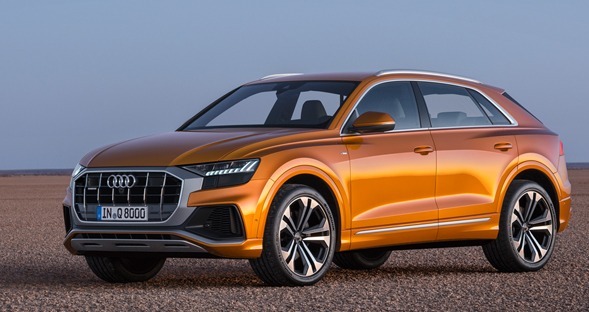 The Audi Q8 will surpass the limits of what you thought it was possible. Whether it’s the standard LED headlights or the optional HD Matrix LED technology, both headlights and taillights have digital character. 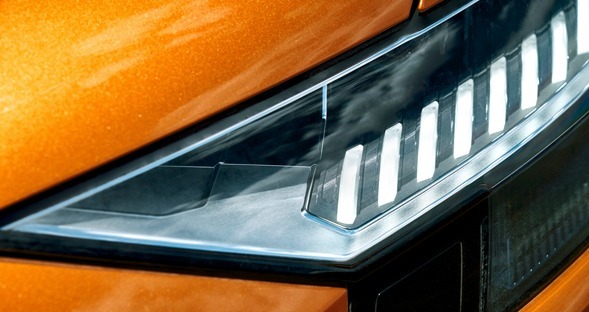 The imposing octagonal Singleframe grill makes the Audi Q8 stand out, at first sight, from the rest of the Q family. This, along with the spoiler and the large air inlets, emphasize its confident attitude. The wide and muscular contours highlight the sporty look and off-road handling. 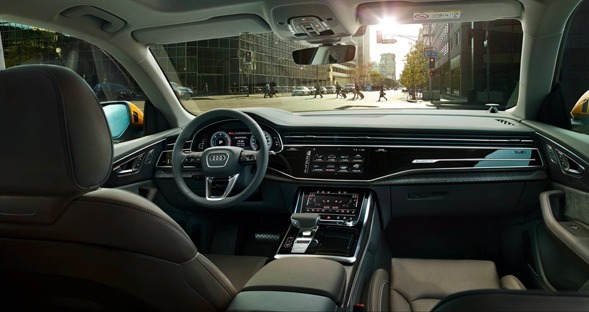 The new Audi Q8 offers generous and comfortable space for five people. The interior styling is clean and simple. All elements harmonize with one another; from the “wrap around” – the large arch running from the front doors, across the instrument panel – to the optional operating unit for the light. 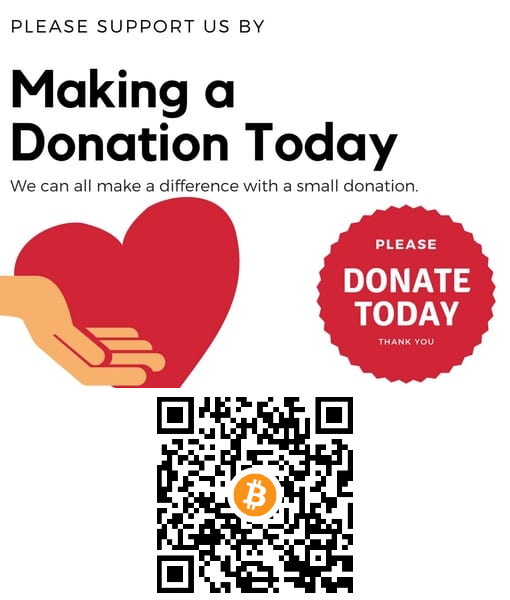 All this combined gives a feeling of calm. At 4.99 meters long, 2 meters wide, and 1.71 meters high, the new Audi Q8 offers more leg and headroom. Furthermore, with the rear backrests folded the luggage compartment holds up to 1755 liters of space.